Progesterone creams and natural or bioidentical compounded estrogen preparations are being promoted to consumers as safe alternatives to conventional menopausal hormone therapy and as health-promoting tonics. No reliable data support these claims. Natural hormones, including estradiol, estriol, estrone, and progesterone, can be expected to have the same adverse event profile as conventional menopausal hormone regimens. Salivary tests may be used to persuade asymptomatic consumers to use hormones (or symptomatic patients to use higher doses than those needed to mitigate symptoms), a practice that can be expected to result in adverse events. Bioidentical or natural hormones are being promoted to consumers as benign health tonics. The term bioidentical is a pseudoscientific neologism that refers to endogenous hormones, including estriol, estrone, estradiol, progesterone, testosterone, DHEA, thyroxine, and cortisol. Natural alludes to the fact that these are native human hormones. In fact, these hormones are synthesized or semisynthesized. Stigmasterol from soybeans (Glycine max) and diosgenin from an inedible Mexican yam (Dioscorea villosa) can be converted to progesterone in the laboratory,1 but there is no evidence that plant sterols convert to progesterone endogenously. Although all oral hormonal preparations require a prescription, topical hormone preparations are generally regulated as cosmetics, not drugs,3 and so are readily available without a prescription. Health food stores sell progesterone and DHEA creams, and estrogen creams may be purchased on the internet. Transdermal progesterone cream has also been tested for hot flashes; one study found a positive effect8 and another found no effect.9 Progesterone cream is promoted to treat and prevent osteoporosis, and as a general health tonic. However, no clinical trials support the use of progesterone cream for either of these claims. Popular books have contributed to misconceptions about hormones. Actress Suzanne Somers has published three books promoting bioidentical hormone therapy in 3 years. In her latest book, Ageless: the Naked Truth About Bioidentical Hormones, Somers states, “Hormones are our life force; the decline of hormones is the hallmark of aging;” “Without hormone replacement, we will end up mere shells of our former selves;” and “Disease doesn’t develop when hormones are in perfect balance.”16 Despite developing breast cancer and undergoing a hysterectomy for endometrial hyperplasia while taking bioidentical hormones, Somers remains a hormone enthusiast. The terms bioidentical and natural may imply safety to consumers. A survey of 82 women interviewed at a compounding pharmacy found that 74 had heard about natural hormones and 37 used them.19 Half of those who had heard about natural hormones believed that natural meant “not synthetic/not man-made/no chemicals” and 45% thought the term meant plant-derived. Only 11% agreed that natural meant “identical to human hormones.” More than two thirds (71.4%) of respondents believed that natural hormones had fewer risks than pharmaceutical hormones. Estriol, specifically, is believed by bioidentical hormone proponents to decrease breast cancer risk. This belief is based on several articles written in the 1970s by a researcher who remained enthusiastic about estriol even after his only published clinical study failed. Six of the 24 subjects with breast cancer who took estriol developed metastases; two developed endometrial hyperplasia.31 The researcher, however, never made specific disease prevention claims about estriol. Women with intact uteri are prescribed estrogen with a progestogen to oppose estrogen-induced endometrial hyperplasia and cancer. Bioidentical hormone proponents sometimes recommend topical progesterone cream instead of oral progestin for this purpose. However, it is unclear whether topical progesterone can effectively mitigate estrogen-induced endometrial stimulation. Three studies have examined the ability of progesterone to oppose estrogenic stimulation. 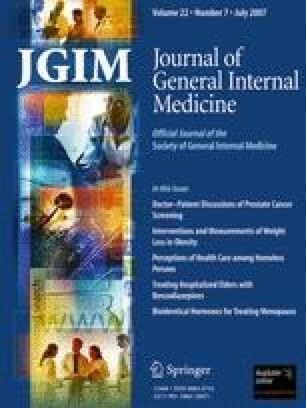 The longest study, which lasted for 48 weeks, found that transdermal cream containing 40 mg of progesterone could not effectively oppose estradiol-induced endometrial stimulation.42 A 12-week study of a cream containing up to 64 mg of progesterone found similar effects.43 The only study that found that progesterone cream (1.5% or 4%, dosed by body weight) effectively opposed estrogen lasted only 28 days, too short a time to assess estrogenic effects.44 Five studies that measured serum or plasma levels after topical progesterone treatment have found progesterone levels <5 ng/mL (the minimum level believed to induce a secretory endometrium).45, 46, 47, 48, 49 Only one study found a progesterone cream equivalent to oral progesterone after measuring progesterone concentration in whole blood50 (Table 1). Endometrial biopsies showed significant decrease in endometrial proliferation scores in both treatment groups, compared with placebo and compared to baseline biopsies taken 2 wks after estrogen treatment. None of the 21 endometrial biopsies obtained indicated a secretory endometrium. Serum progesterone levels rose to 0.6–3.2 ng/mL. Endometrial biopsies showed that mean endometrial thickness increased significantly from 3.3 to 5.5 mm. At 48 wks, out of 39 biopsies obtained, 2 showed endometrial hyperplasia, and 10 demonstrated endometrial proliferation. Median plasma progesterone levels increased from 1.9 to 2.5 nmol/L. In a whole blood assay, progesterone levels increased after both topical and oral progesterone. No significant difference between groups; median AUC (area under the curve) was 12.5 ng h−1 mL−1 after Pro-Gest and 10.5 ng h−1 mL−1 after oral progesterone. Plasma progesterone increased significantly but slightly in both treated groups, compared to the placebo group (range 0.32–1.77 nmol/L in the 20-mg group, 0.59–3.53 nmol/L in the 40-mg group). Salivary progesterone levels were high, variable, and did not correlate with serum levels. Serum progesterone increased to 2.5–3.0 nmol/L (with wide variation). No difference between single and divided dose. No change from baseline in serum progesterone in either group 3 h after treatment. Salivary progesterone rose significantly in both groups within an hour. Mean serum progesterone levels rose to 1.0–3.3ng/mL. Median plasma progesterone levels after 10 d were 2.9 nmol/L after Pro-Gest, compared to 9.5 nmol/L with oral progesterone. Bioidentical hormones are an unusual form of alternative medicine. Unlike dietary supplements, most orally administered hormones require a physician’s prescription. Despite the fact that these hormones are no more natural than (and in many cases are identical to) commercially available drugs, when formulated by a compounding pharmacy these preparations fall outside of the current realm of FDA regulation. No reliable data support the claim that bioidentical hormones are safer than other hormones, and natural, bioidentical, and compounded preparations must be assumed to have the same risks as commercial hormone preparations. Commercial or compounded estrogen preparations should be effective for treating hot flashes or vaginal dryness, and oral micronized progesterone is acceptable as the progestogen portion of menopausal hormone therapy. Any estrogen, including estriol, should be opposed with an oral progestogen in nonhysterectomized women. Whereas some progesterone creams may provide some endometrial protection in some women, studies to date are not reassuring. Progesterone creams should not be relied upon to protect uterine endometrium from estrogen-induced stimulation. Oral progestogens with known effects are preferred. Any menopausal hormone therapy should be reserved for women with bothersome symptoms, and used in the lowest effective dose for as brief a period as possible. Whereas compounded preparations may be useful for creating lower-dose preparations of hormones, these preparations lack the consistency and regulatory oversight required of commercial hormonal drugs. Adverse effects of hormones must be assumed to be drug class effects until reliable clinical evidence proves otherwise. Claims that the hormones present in compounded prescriptions are safer than commercial pharmaceuticals can only be made by those unfamiliar with or unwilling to accept scientific data. Women who wish to use compounded hormones to treat menopausal symptoms should be counseled that bioidentical hormones have the same risks as conventional hormones. Because hormones are readily absorbed through the skin, the FDA should regulate transdermal hormone preparations as drugs. In addition, the FDA should require compounding pharmacies to provide patients with the same written information required of commercial drugs with any compounded prescriptions made with those drugs. To do otherwise risks the health of consumers. This work was partially supported by a grant from the Attorney General Prescriber and Consumer Education Grant Program. The authors received no funding for this report. Dr. Fugh-Berman has provided expert testimony on the plaintiff’s side in litigation regarding Prempro® (Wyeth). J. Bythrow is currently employed as a pharmaceutical sales representative with Eli Lilly. Food and Drug Administration. Available via the internet at http://www.cfsan.fda.gov/~dms/cfsand04.html. Accessed 19 Sep 2006. MedXLife. Available at http://medxlife.com/getArticles.asp?aId=54&categoryId=10. Accessed 5 Nov 2004. College Pharmacy. Available at http://www.collegepharmacy.com/specializations/biest.asp. Accessed Jul 2005. AltMedNetwork. Available at http://www.altmednetwork.net/whealth/progest_crm.html. Accessed Jun 2005. DrErika.com. Available at http://drerika.com/EN/index.html. Accessed 31 Oct 2005. Food and Drug Administration. Food and Drug Administration Labeling Guidance for Noncontraceptive Estrogen Drug Products for the Treatment of Vasomotor Symptoms and Vulvar and Vaginal Atrophy Symptoms—Prescribing Information for Health Care Providers and Patient Labeling, revision 1. USA: Center for Drug Evaluation and Research (CDER), revision 1. Available at http://www.fda.gov/cder/guidance/index.htm; February 2004.